Come join Sarah Jane Curran every week for an exploration of the beer world. Anything and everything in the beer industry is up for discussion. This will be a guest driven show from brewers, importers, distributors, servers, homebrewers, beer writers, and experts. We will explore everything this exciting and eclectic beer world has to offer. Recorded at the Craft Brewers Conference in Denver, Colorado, we get to chat with Ethan Cox, president and the main instigator at Community Beer Works in Buffalo, New York. We discuss the flourishing beer scene in western New York, how to get more people drinking craft beer, beer travel, and staying true to your beer brand. Join us for a special show with Dr. Brian Alberts and Liz Garibay from the Chicago Beer + Culture Project and The Brewseum. They are in DC to talk beer history, and how beer shapes community and culture. Returning to the show we also have Mike Stein, local beer historian to taste the East Indian Porter he brewed with Bluejacket Brewery and historian, Ron Pattinson. The Beer Judge Certification Program (BJCP) was founded in 1985 to "to promote beer literacy and the appreciation of real beer, and to recognize beer tasting and evaluation skills." The approach to gain this certification is very hands on. Ben Hunter, Sales Manager for Denizens Brewing Co. and Certifed Beer Judge explains the process of studying for the certification. We dive into what it's like to judge a beer competition, and how to start judging beer. How do brewers select hops for their brews? What qualities do they look for in the hops and the production/processing? Listen in for the answers. Alex Barth, CEO of John I. Haaz and a seventh-generation hop producer is our guest. We also get into new flavor research, hazy IPAs, and hop extracts. Beer Lists: How to get people drinking more beer? As craft beer continues to grow, the question is, will the bubble burst? Short answer, no, there are so many people that don't drink beer. Sam Nellis, Beverage Director for All-Purpose and Red Hen in DC comes by to chat about what goes into building his list, and how education is the key to growing craft beer enthusiasts. Of course, we get off topic with beer throwdowns, spritzes, orval day, and eggs. Adrienne Ballou headed up the barrel and fruit refermination program at Jester King in Austin, TX. Though a classicly trained winemaker, she crossed the bridge into beer making. She has since returned to the wine world in Texas hill country. We get nerdy with her experiences in barrel management. We also stressed the importance of people from both wine and beers worlds to share their knowledge. 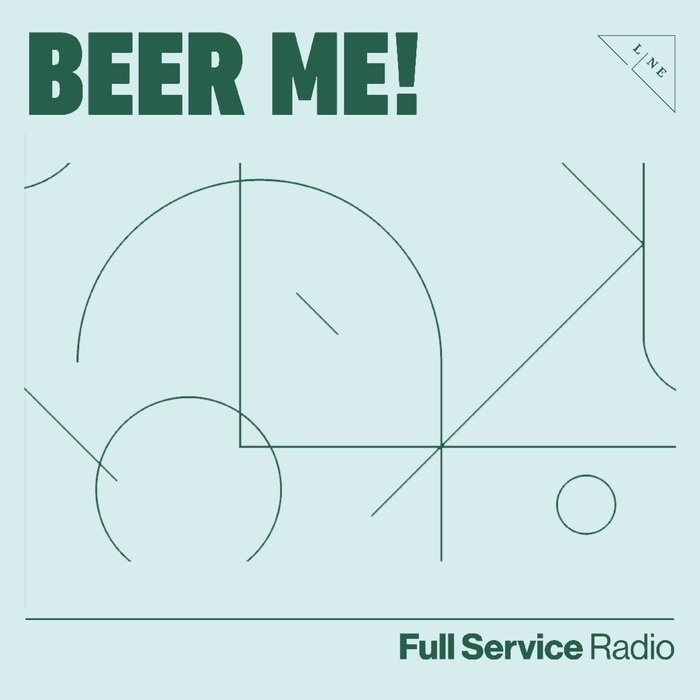 For this week Beer Me is recorded in Portland, Maine - specifically at Maine Beer Co. We chat with their marketing & events manager, Anne Marisic. She discusses what it means to work for a company whose motto is "do what's right" and how that translates to the beer, expansions, and employee care. Part of the new renovation is a space for a sensory evaluation, which sparked a dive into tasting and evaluating beer. History is in the making. Pizza Paradiso, DC Brau, and DC Homebrew Club are joining forces to host a homebrewer competition at the Georgetown location of Pizza Paradiso. The winner will get to brew their beer at DC Brau and have it served at every Pizza Paradiso location (now 5!). Michael Stein of Lost Lagers and Drew McCormick (executive beverage director of Pizza Paradiso) are in the studio to share the inspiration and the technical explanation of this event. We also dive into what it's like to submit your beer to a homebrew competition. John Gartner of Port City Brewing Company and Bill DeBaun of DCBeer.com swing by the studio to talk about our mutual love of Port City. This is a brewery that sometimes gets overlooked for how amazing they are. We get into history, the beers, competition, and new beer releases - the importance of lagers. Also, reminders for the upcoming St. Baldrick's event at Boundary Stone and The Brewer's Ball. Maureen O'Pray recently published a book "Beer in Maryland: A History of Breweries Since Colonial Times" and she comes by to take us through that history. We covered Maryland's first brewers, the industrial age, prohibition, and immigration. Through her research, she has uncovered some amazing stories and captured the human quality of this story. Leah Cheston, co-owner/founder of Right Proper Brewing Co. in Washington, DC, comes by to chat about the importance of brewery owners coming together. She is the VP & Treasurer of the DC Brewers Guild (a non-profit trade organization that supports DC Brewers). She is also one of the newest members of the Brewers Association board of directors (another non-profit trade organization advocating for brewery owner rights). The beer world is a supportive community, and Leah explains how that happens and why it is so important.